Chako Takahashi, Masayuki Ohzeki, Shuntaro Okada, Masayoshi Terabe, Shinichirou Taguchi and Kazuyuki Tanaka : Statistical Mechanical Analysis of Hamiltonian Estimation of Ising Spin Glass Based on the Framework of Statistical Query Learning, Quantum Machine Learning & Biomimetic Quantum Technologies, No. TBA, University of the Basque Country, Leioa, Spain, March 19 – 23, 2018. Inverse Problems , vol.30, No. 2, Article No.025003, pp.1-14, February, 2014. （August 2, 2013, Kyoto University, Kyoto, Japan）. （July 28, 2013, Hokkaido University, Sapporo, Japan）. Journal of the Physical Society of Japan, Vol.81, No.4, Article No.044801, pp.1-16, April 2012. （March 20, 2013, Akiu Resort Hotel Sakan, Sendai, Japan）. pp. 2234-2237,（November 14, 2012, Tsukuba International Congress Center, Tsukuba, Japan）. Philosophical Magazine, Vol.92, Nos.1-3, pp.50-63, January 2012. Journal of the Physical Society of Japan, Vol.81, No.2, Article No.025001, pp.1-2, February 2012. 電子情報通信学会誌，Vol.93, No.9, pp.744-748, September 2010. Journal of Physics: Conference Series, Vol.233, Article No.012013, pp.1-11, July 2010. Nonlinear Theory and Its Applications (NOLTA), IEICE, Vol.2, No.2, pp.153-164, 2011. Journal of the Physical Society of Japan, Vol.79, No.2 (February 2010), Article No.025001, pp.1-2. Proceedings of 2009 IEEE Workshop on Statistical Signal Processing (August 31-September 3, 2009, Cardiff, Wales, UK). 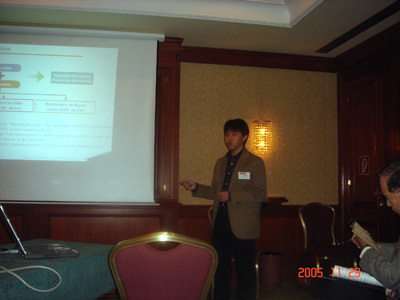 Proceedings of 2008 International Conference on Computational Intelligence for Modelling, Control and Automation and International Conference on Intelligent Agents, Web Technologies and Internet Commerce (CIMCA-IAWTIC'08; December 10-12, 2008, Vienna, Austria), to appear. Journal of Physics A: Mathematical and Theoretical, Vol.40, No.33, pp.9993-10007, August 2007. 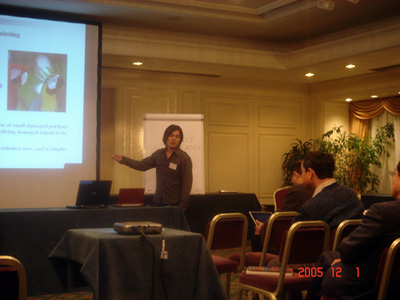 23st IUPAP International Conference on Statistical Physics (STATPHYS23), (July 9-13, 2007, Genova, Italy). 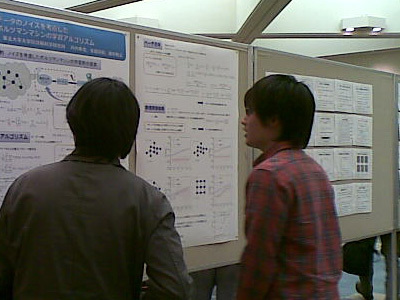 Yamada Conference LXI, Spectroscopies in Novel Superconductors, August (2007),Sendai Japan. (2008 年 3 月 12 日, 玉川大学，講演番号:NC2007-112). (2008 年 3 月 12 日, 玉川大学，講演番号:NC2007-118). (2008 年 3 月 13 日, 玉川大学，講演番号:NC2007-159). (2007 年 12 月 18 日, メルパルク京都(京都市)). 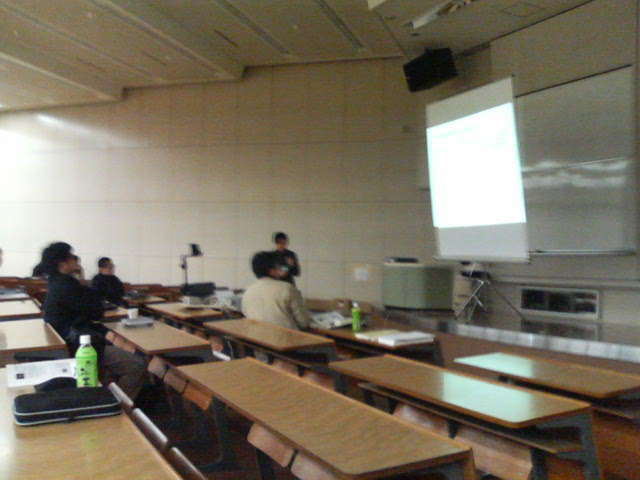 (2007 年 12 月 7 日, 東北大学青葉山キャンパス). (2007 年 9 月 21 日, 北海道大学札幌キャンパス, 講演番号:2laTL-6). (2007 年 9 月 21 日, 北海道大学札幌キャンパス, 講演番号:2laTL-12). (2007 年 9 月 21 日, 北海道大学札幌キャンパス, 講演番号: 21pXQ-6). (2007 年 9 月 21 日, 北海道大学札幌キャンパス, 講演番号: 21pXQ-7). (2007 年 9 月 14 日, 千葉工業大学津田沼キャンパス, 講演番号:2C12). 第6回情報科学技術フォーラム(FIT2007) (2007年9月5日-7日, 中京大学, 講演番号: I-067). 第6回情報科学技術フォーラム(FIT2007) (2007年9月5日-7日, 中京大学, 講演番号: LF-014) (情報科学技術レターズ (Information Technology Letters) に 掲載 P187). 第21回人工知能学会全国大会 (2007 年 6 月 21 日, ワールドコンベンションセンターサミット（宮崎市）, 講演番号:2C5-9). Interdisciplinary Information Sciences, Vol. 13, No. 1, pp. 25-31, March 2007. Journal of the Physical Society of Japan, Vol.75, No.11, Article No.115001, pp.1-2, November 2006. Journal of the Physical Society of Japan, Vol.75, No.8, Artucle No.084006, pp.1-8, August 2006. Journal of the Physical Society of Japan, Vol.75, No.7, Article No.074802, pp.1-6, July 2006. 特集/ネットワーク科学の物理と数学, 数理科学, Vol.44, No.8, 通巻 518 号, pp.24-29, August 2006. トレンドキーワード（第2回）「スケールフリーネッ トワーク」，電子情報通信学会 情報・システムソサイエティ誌, Vol.11, No.1, 通巻42号, pp.18-19, June 2006.
International Conference on Complex Systems (ICCS2006), (June 25-30, 2006, Marriott Boston Quincy, Boston, USA). 倉沢光，田中和之: 確率的画像処理におけるハイパパラメータ推定の統計的解 析, 電子情報通信学会技術研究報告, Vol.106, No.163, pp.7-12, July 2006 (電子情報通信学会 ニューロコンピューティング研究会, 2006年7月14日, 早稲 田大学理工学部). (2007年3月20日, 鹿児島大学 講演番号: 20pWD-5, 日本物理学会講演概要集 (第 2 分冊), vol.62, no.1, p.297). 第9回 情報論的学習理論ワークショップ (IBIS 2006) (2006年10月31日,11月1-2日, 大阪大学 中之島センター) 第9回情報論的学習理論ワークショップ (IBIS 2006) 講演概要集, pp.184-191. (2006年9月26日, 千葉大学 講演番号: 26aXD-8, 日本物理学会講演概要集 (第 2 分冊), vol.61, no.2, p.227). (2006年9月26日, 千葉大学 講演番号: 26aXD-9, 日本物理学会講演概要集 (第 2 分冊), vol.61, no.2, p.227). (2006年9月26日, 千葉大学 講演番号: 26aXE-3, 日本物理学会講演概要集 (第 2 分冊), vol.61, no.2, p.228). 第5回情報科学技術フォーラム(FIT2006) (2006年9月5日-7 日, 福岡大学) (情報科学技術レターズ (Information Technology Letters) に 掲載). Phys. Rev. E, Vol. 72, No.3 (September 2005), Article No.036120, pp.1-10. Phys. Rev. E, Vol. 72, No.4 (October 2005), Article No.046135, pp1-8. Phys. Rev. E. Vol. 72, No. 6, Article No. 065104(R), pp.1-4 (2005, December). "Estimation of the structure in Boltzmann machines by means of the cluster variation method"
"Replica Analysis in a Non-growing Model for Complex Networks"
Proceedings of International Conference on Computational Intelligence for Modelling, Control and Automation and International Conference on Intelligent Agents, Web Technologies and Internet Commerce (CIMCA-IAWTIC'05; November 28-30, 2005, Vienna, Austria), Vol.II (2006, IEEE Computer Society Press), pp.747-752. Proceedings of International Conference on Computational Intelligence for Modelling, Control and Automation and International Conference on Intelligent Agents, Web Technologies and Internet Commerce (CIMCA-IAWTIC'05; November 28-30, 2005, Vienna, Austria), Vol.I (2006, IEEE Computer Society Press), pp.1153-1159. (2006 年 3 月 30 日, 愛媛大学・松山大学, 講演番号: 30pUA-12, 日本物理学会講演概要集(第 2 分冊), vol.61, no.2, p.336). (2006 年 3 月 30 日, 愛媛大学・松山大学, 講演番号: 30pUA-10, 日本物理学会講演概要集(第 2 分冊), vol.61, no.2, p.336). (2006 年 3 月 30 日, 愛媛大学・松山大学, 講演番号: 30aRD-6, 日本物理学会講演概要集(第 2 分冊), vol.61, no.2, p.324). (2005 年 9 月 19 日, 同志社大学京田辺キャンパス, 講演番 号: 19pYO-7, 日本物理学会講演概要集 (第 2 分冊), vol.60, no.2, p.157). (2005 年 9 月 19 日, 同志社大学, 講演番号: 19pYO-10, 日本物理学会講演概要集 (第 2 分冊), vol.60, no.2, p.158). Proceedings of 2005 Workshop on Information-Based Induction Sciences, pp.191-196 (November 9-11, 2005, Waseda University, Tokyo, Japan). Proceedings of 2005 Workshop on Information-Based Induction Sciences, pp.179-184 (November 9-11, 2005, Waseda University, Tokyo, Japan).